In Division 1, David Gibby (Valley View, TX) and Cody Standerfer (Prosper, TX) won first place with a two-day total of 14 fish weighing 27.64 pounds. 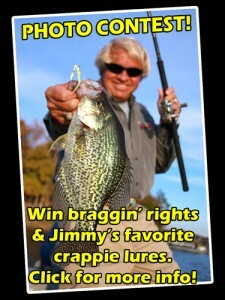 This broke the record for the largest two-day string caught during a Texas State Crappie Championship. 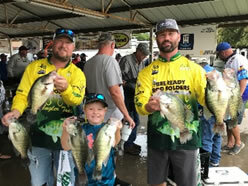 Second place was won by Clay Gann (Hideaway, TX) and Todd Froebe (Lindale, TX) with junior angler Landon Froebe with 14 fish weighing 26.66 pounds. Kelly Satterwhite (Teague, TX) and Eric Walker (Lewisville, TX) took home 3rd place with 14 fish weighing 26.43 pounds. Other awards – Pro Angler Elite Rod Challenge Award Day 1 winners were Chris Waters and Kirk Grounds (13.93). David Gibby and Cody Standerfer (14.14) won Day 2. Bobby Garland Big Fish Award Day 1 winners were Weston Belcher and Brain Carter (2.63). David Gibby and Cody Standerfer (2.67) won Day 2. In Division 2, Brandon Miles (Bullard, TX) and Steve Goncalves (Midlothian, TX) won first place with a two-day total of 14 fish weighing 24.30 pounds. Miles and Goncalves capped off incredible season with a with a Championship win. Second place was won by Bob McAffrey (Killeen, TX) and Greg Young (Weatherford, TX) 13 fish weighing 24.02 pounds. Brent Bryson (Leonard, TX) and Mikie Bryson (Leonard, TX) took home 3rd place with 14 fish weighing 22.37 pounds. Other awards – Pro Angler Elite Rod Challenge Award winners for both days were Brandon Miles and Steve Goncalves (13.12 and 11.18). Bobby Garland Big Fish Award Day 1 winners were Brandon Miles and Steve Goncalves (2.29). Bob McAffrey and Greg Young (2.29) won Day 2. The annual awards banquet was held at the Emory Civic Center October 12, 2018. The team of Clay Gann and Todd Froebe won the “Anglers of the Year” honor in Division 1, and the team of Brandon Miles and Steve Goncalves were named “Anglers of the Year” in Division 2. The prestigious 2018 Ron Conatser Sportsman of the Year award was presented to Robert Russell and the 2018 “Top CAT” Award was posthumously awarded to Matthew Carroll. 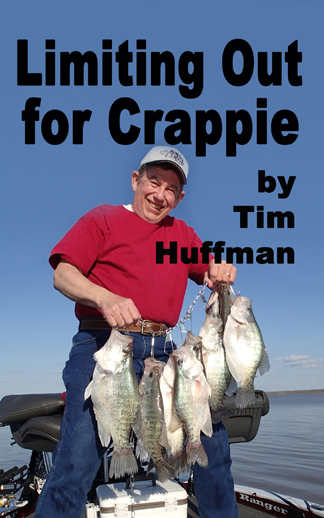 Crappie Anglers of Texas is a non-profit organization dedicated to the sport of crappie fishing. 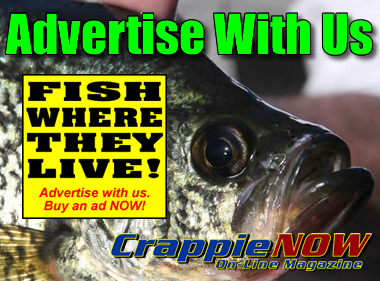 With over 280 members nationwide, CAT has been instrumental in gaining national attention for crappie fishing in Texas and continues to develop its member’s knowledge of crappie fishing through educational meetings, seminars and fishing tournaments. 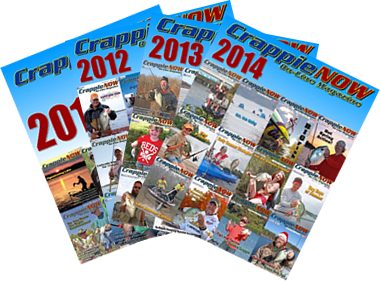 All CAT tournaments pay back at least 100% of the anglers’ entry fees.